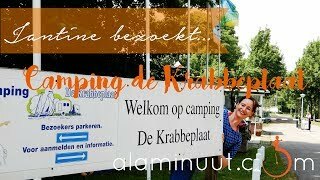 Camping De Krabbeplaat is a family run site situated near the ferry port in a wooded, recreation area next to the Brielse Meer lake. There are 448 spacious pitches, with 68 for touring units, all with 10A electricity, cable connections and a water supply nearby. A nature conservation plan exists to ensure the site fits into its natural environment. The lake and its beaches provide the perfect spot for watersports and relaxation and the site has its own harbour where you can moor your own boat. This excellent site is very convenient for the Europort ferry terminal. Plenty of cultural opportunities can be found in the historic towns of the area. Because of the large range of amenities and the tranquil nature of the site, De Krabbeplaat is perfect for families and couples. One large and two smaller heated toilet blocks in traditional style provide separate toilets, showers and washing cabins. High standards of cleanliness. 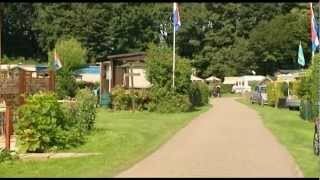 Dedicated unit for disabled campers and provision for babies. Warm water is free of charge. Dishwasher (free). Launderette. Motorhome services. Supermarket, snack bar, restaurant and takeaway (all season). Recreation room. Youth centre. Tennis. Playground and play field. Animal farm. Bicycle and children’s pedal hire. Canoe, surf, pedal boat and boat hire. Fishing. WiFi over site (charged). Six cabins to rent. From the Amsterdam direction take the A4 (Europoort), then the A15 (Europoort). Take exit for Brielle on N57 and, just before Brielle, site is signed.